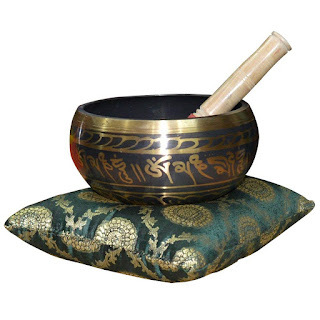 Singing bowl in brass metal produces sounds which invokes a deep state of relaxation, this naturally assists one in entering into meditation. These are a quintessential aid to meditation, and can be found on private Buddhist altars, in temples, monasteries and meditation halls throughout the world. Each bowl comes with a colorful cushion and a stick. This oriental artistic looking singing bowl helps you decorate sacred parts of your home in Buddhist way. And when you are in the mood, just play on this bowl to achieve much needed serenity.